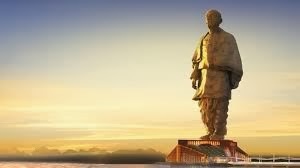 The Gujarat government, especially the chief minister’s office (CMO) appears to be feeling shy of coming up with details on environmental clearance, if any, provided to the Statue of Unity, planned as the highest statue in the world in the memory of Sardar Patel. Instead of giving a written reply on the crucial issue to senior environmentalist Rohit Prajapati and other experts and activists who had sought in writing details of environmental clearance, a letter sent by the CMO to him evasively wants him to “contact” an additional secretary in the water resources department to “clarify” the state government’s position on the matter. The environmentalist insists, “While the Government of Gujarat has proposed a nationwide programme seeking to involve school trustees, principals, students and parents on December 15, 2013 to support the Statue of Unity project through the Run of Unity marathon, we would like to share our concerns, questions, and worries, including the glaring issues and procedural anomalies.” He adds, he, along with a host of other intellectuals and activists had asked, in writing, to the Government of India, with copies to the Gujarat chief minister and the Gujarat chief secretary, to provide details of the environmental clearance to the Statue of Unity. Written on November 7, 2013, raising concern about environmental, social and safety issues of the Statue of Unity project, he said, the intellectuals and activists had expected a clear answer from the Gujarat government in the matter. Yet, they received an evasive reply from the chief minister’s office (CMO), which “instead of being clear on its actions to see environmental clearance from the competent authorities forwarded our representation to the water resources department”. (1) The project needs environment clearance under the EIA notification of September 2006, but has not applied for or obtained the clearance at any stage. (2) The Shoolpaneshwar Sanctuary boundary is touching the Sardar Sarovar reservoir. Since the statue is only 3.2 kms from the Sardar Sarovar Dam, it is certainly nearby Shoolpaneshwar sanctuary. (3) The project involves construction in the river bed and proposed reservoir, close to sanctuary in eco-sensitive zone, and hence will have serious impacts on the ecology and environment. Hence, and EIA and EC is crucial. (4) The project will affect the downstream river, its biodiversity, people and livelihoods and other related aspects. (5) A comprehensive assessment of the environmental and social impacts of the Statue of Unity and its contribution to the cumulative impact of all the projects and activities in the area has not been done. (6) The project also needs public consultation, but none has happened so far. (7) During the construction of the Sardar Sarovar dam due to hard rock digging, the seismic area already carries the burden of artificial activity in the bed rock and added load in what is deemed geologically fault line area. Public reports on geotechnical and geological studies on the proposed site have raised issues of structural stability as well as safety. * Government of Gujarat should submit application for environment clearance and till that is obtained, not to do any work related to the project. * Government of Gujarat should immediately stop planned Statue of Unity and direct them to stop all other activities related to the Statue of Unity. * The foundation stone installation on October 31, 2013 for the Statue of Unity should be declared illegal, in violation of the EIA notification of September 2006 and the Environment Protection Act, 1986.